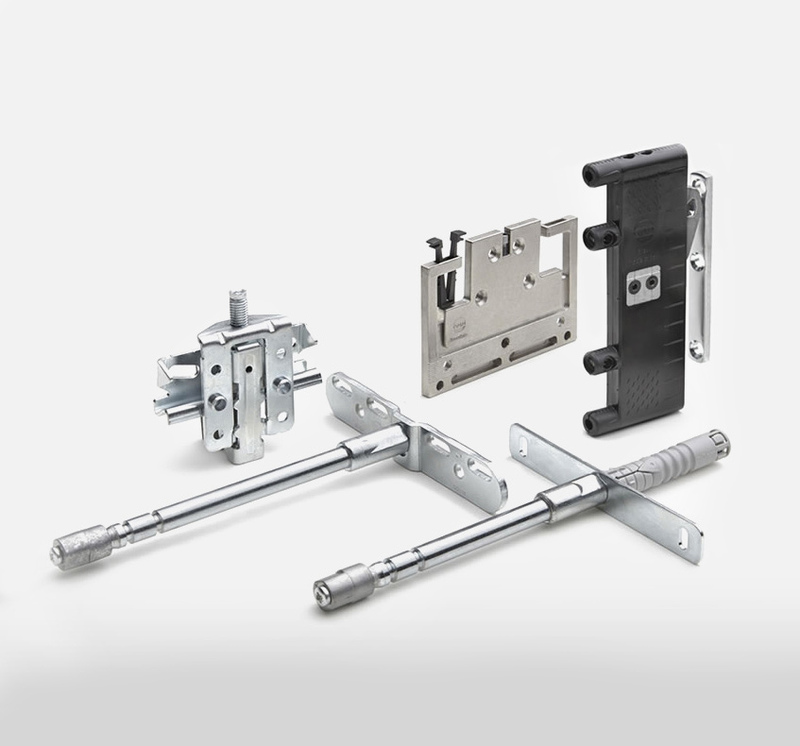 OMM - Door straighteners and wall shelf supports — International Prodimex - Italian handles and fittings. O.M.M. was born in the 50s at the initiative of Mr. Enrico Mariani. In the '90s, with the entrance of Eng. Roberto Mariani, the company serves more attention to the technical articles used in the furniture. Door straighteners to control the wardrobe sliding and winding panels planarity, gradually reducing and eliminating the need of assembling screws. Aluminium extruded frames for building up sliding panels with not only personalized shapes, but being also the straighteners integrated parts of them, to guarantee sliding panels planarity available also for winding doors. Hardware in general, especially various kinds of adjustable wall shelf supports. Useful accessories like caps, bushes and so on.